5'1 is the new 6'2: Bronde's have more fun! With summer arriving right on schedule, I decided to go for a new look, plus with leaving uni and getting a big girl job, I decided to change 'me' a bit. So after scouring google, I came across a trend I instantly fell in love with: Bronde Hair! "Bronde" hair is that perfect shade between blonde and brunette that was first made popular back in 2007 by supermodel Gisele Bundchen (What a babe!) and it is hard work to get - simply ask my sister (who thankfully is a hairdresser) who painstakingly stood for hours going at mine with colours and highlights. I had a base coat applied which pulled all the hair to a light brown then a series of different highlights were applied in foils throughout my hair. It sounds relatively simple, but it took quite the amount of time and effort. I'm incredibly happy with the result. It's exactly what I want. Though it's a bit bright today as it's just been done, I think when it's settled it'll have a more even to ne to it. Stylelist's editors wrote. 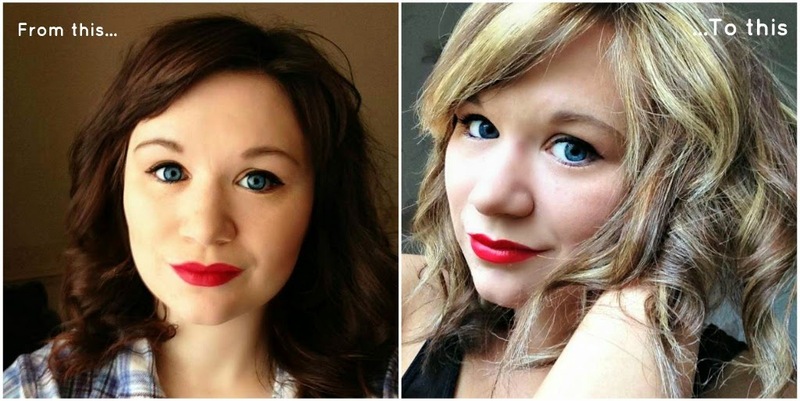 "without looking like you're trying to be the blonde you're not," because I'm not (anymore) and I'm tired of brunette, it's like the ultimate compromise! But forget blonde's, it's Bronde's that have more fun! Tell me what you think and what your faveoute hair style is for summer? I went bronde recently best decision I ever made hair wise. You look fab! Such a gorgeous shade. I've never thought of being inbetween the two before! Love you new hair :) looks amazing! !